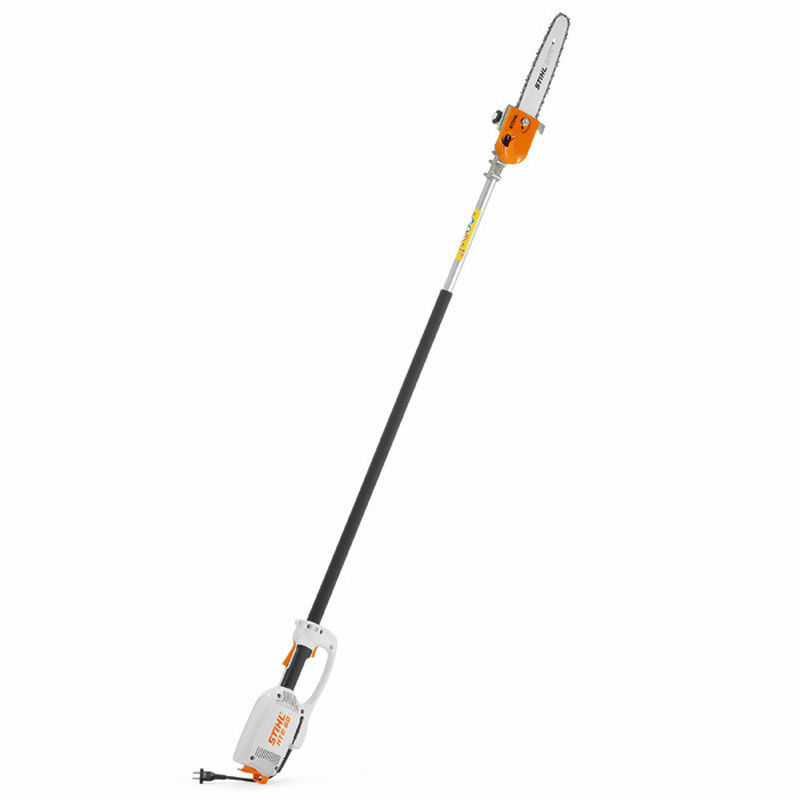 The particularly powerful HTE 60 electric pole pruner enables you to trim branches up to a height of approx. 3.2 m. Also suitable for cutting back vigorous hedge growth, such as hornbeam. The tensile forces are absorbed via the strain relief. Thus, the connector when pulling is not accidentally disconnected. The soft grip makes working with the machine more comfortable as well as absorbing vibrations from the engine unit.